By H. ALLEN SMITH (United Press Correspondent) NEW YORK, Sept. 22. 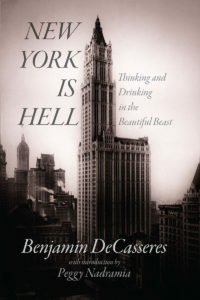 Benjamin Decasseres, pole star of the American intelligentsia and sometimes called the most unpublished author in the United States, has written a new book that will be published. It is called “Mencken and Shaw, the Anatomy of America’s Voltaire and England’s Other John Bull.” Between its covers Decasseres sets out, with a pen that drips blue fire, to prove that George Bernard Shaw is a colossal mountebank and that H. L. Mencken is the true modern Voltaire. This being an interesting thesis, Decasseres submitted to an interview. He lives in an apartment off Gramercy park surrounded by books, green pencils, unpublished manuscripts and an ice box well stocked with tannic acid. The “Lone Eagle” of American literature wore brown striped pajamas, of a silken texture, during the interview. First off he brought out his 16 unpublished books. 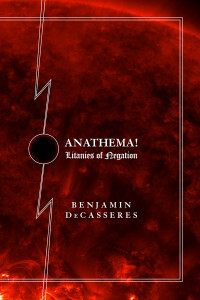 These range in topic from a volume of poetry to the love letters of Bio and Benjamin Decasseres. 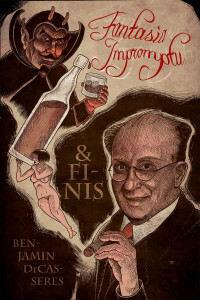 “The publishers,” Decasseres said, “won’t touch my stuff because I won’t go to literary teas.” His new volume on Mencken and Shaw will be published by Silas Newton, a Texas oil man. Newton may publish all of Decasseres works. The 57-year-old author believes that Mencken’s books should be placed in the schools, “to teach Americans how to write English.” He holds that Mencken is the greatest writer as well as the greatest social satirist this country has ever produced. “I have taken Mencken and Shaw,” he said, “as the world’s two outstanding sane rebels. But my idea is that Mencken’s sanity is sincere, while Shaw’s is not. Shaw delights in making people believe he is insane, which he probably is. He is a cheap publicity-seeker, a publicity-shark of the lowest type. He is like a trick bear, always clowning. “The big difference lies in the fact that Mencken has character, Shaw has none. I don’t agree with Mencken on many of his literary and esthetic judgments. But I believe that his grandeur comes from his narrowness, his height comes from his lack of breadth. “Mencken glories in the use of words. He takes the same pleasure in studying the use of words that a Beethoven would take in the study of notes, or a Rembrandt in the study of colors.” The frequent charge of insincerity, brought against Mencken, irritates Decasseres.